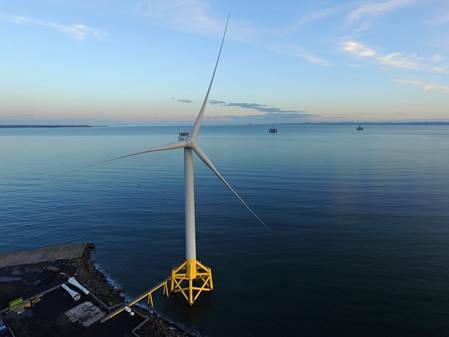 Testing, inspection and certification services provider Bureau Veritas said it has partnered with Offshore Renewable Energy (ORE) Catapult in an effort to jointly develop a Veristar AIM 3D “Digital Twin” of ORE Catapult’s 7MW Levenmouth Offshore Wind Demonstration Turbine in Fife, Scotland. So-called Digital Twins can improve the operations and maintenance of offshore wind farms by combining real-world turbine operating data with numerical modelling to improve understanding and enable a risk-based approach to maintenance activities, thereby reducing unplanned activities, improving health and safety and reducing costs. The operation and maintenance of offshore wind farm assets accounts for around 40 percent of the combined, undiscounted lifetime CAPEX and OPEX costs. The costs associated with an unplanned outage resulting in loss of generation revenue, maintenance crew salaries and vessel charter could be up to £10,000 per turbine, per day or even higher. The ultimate goal of wind farm operators is to reduce unplanned downtime to zero, while reducing scheduled maintenance inspections to an absolute minimum as every invasive inspection carries the risk of inadvertently introducing further issues for the asset. Data collected by real-time condition monitoring systems, together with manual inspection data, provide a full lifecycle view of the performance of the asset over time and enable a risk-based and reliability centered maintenance approach to be developed, increasing safety whilst reducing overall maintenance costs. When Bureau Veritas Marine and Offshore Division was looking to develop the next generation of its Veristar Asset Integrity Management Software, it decided to partner with a best-in-class 3D modelling and digital twin solution provider, entering into an exclusive collaboration agreement with Dassault Systèmes in 2015 and culminating in the launch of the Veristar AIM 3D Asset Integrity Management solution in 2017. Initially, Veristar AIM 3D targeted traditional marine and offshore oil and gas units, both fixed and floating, but it soon became apparent this Digital Twin solution could have tremendous benefits for the marine renewable energy sector as well. ORE Catapult is already working with a number of partners to develop a Digital Twin of the Levenmouth Turbine, focused around the collection of real-time operational SCADA and condition monitoring data from several disparate systems. The collaboration agreement between Bureau Veritas and ORE Catapult is to create a collaborative, interactive digital twin, including 2D diagrams and 3D representations of the wind turbine, where post-processed SCADA and condition monitoring data as well as manually collected inspection data is to be brought back into a unified database of the turbine. The collaboration will address how this information is then presented, thanks to the collaborative digital twin, in the most intuitive manner to the operator, for data-driven decision-making and overall understanding of the asset condition and incoming threats. Chris Hill, Operational Performance Director from ORE Catapult, commented, “As the offshore wind industry and its asset base matures, the ability for wind farm operators to be able to accurately monitor and predict the future performance and safety of their wind farm assets is critical. The Digital Twin enables all information on the condition and performance of a turbine fleet, from the initial starting conditions right up to the end of life conditions, to be monitored and recorded. Having all this information in one central database, together with a full 3D graphical representation of the assets, allows an operator to make critical decisions about how to run the turbine, especially towards the end of its predicted life. It enables a risk-based inspection and reliability-centered approach to maintenance planning and the possibility for future life extension.